Cielos at Lodge on the Desert offers one of the best dining options in Southern Arizona. Dine on contemporary seasonal cuisine that pays tribute to Southwest ingredients. Complemented by classic craft cocktails featuring local spirits and a delectable wine list, Cielos is the perfect place for a romantic night out or a casual happy hour with friends. The intimate space is framed with floor-to-ceiling windows and overlooks a spacious secluded Saltillo-tiled outdoor private patio featuring bistro string lighting, a four-sided, tiled fireplace for optimal year-round al fresco dining. Cielos and its bar both reflect a genuine, richly authentic Southern Arizona historic charm and ambience including rough-hewn artist-design hand-painted wood beams, Mexican tin chandeliers, floating potted plants and shade sails. Make your dining reservations online. Or call 520-320-2014.  Cielos is a member of the Tucson Originals – comprised of local, independently operated restaurants which serve up daily the very soul and distinctive flavors of our community.